Dusit International has signed a management agreement with Omstone Asia Capital Nepal Pvt. Ltd. to operate Dusit Thani Himalayan Resort and Spa, the first Dusit-branded property in Nepal. Located in the heart of Nepal’s central region, just over an hour’s drive from Kathmandu and Tribhuvan International Airport (KTM), the luxurious mountaintop resort will comprise 44 well-appointed guest rooms and 20 exclusive villas, each providing magnificent views of the majestic Himalayan range. Leveraging the natural beauty of its surroundings, with pristine air and good weather year round, the new property will have a wellness spa concept created by Dusit’s signature Devarana Spa, which provides luxurious, personalized treatments designed to promote emotional and physical well-being. Other facilities will include an all-day-dining restaurant, a bar and lobby lounge, meeting facilities and a swimming pool. Namo Buddha, a small village which houses the ancient Thrangu Tashi Yangtse Monastery, one of the most important Buddhist pilgrimage sites in Nepal, is less than ten minutes by car from this new property. With 29 properties, currently in operation across four brands in eight countries, Dusit International is in a significant growth phase which will see the number of Dusit properties reach 70 within the next three to four years across key markets worldwide. Alongside Dusit Thani, other brands in Dusit International’s portfolio include Dusit Devarana, dusitD2 and DusitPrincess. Fairfield by Marriott, part of Marriott International announced the opening of Fairfield by Marriott Kathmandu, which marks Marriott International's entry into Nepal and further expands the company's footprint in South Asia. Fairfield by Marriott is an established leader in the select service segment, with nearly 850 hotels around the world. "We are very proud to debut in the kingdom of Nepal and introduce the Fairfield by Marriott brand as Marriott International's first hotel in the country," announced Mike Fulkerson, vice president, brand and marketing Asia Pacific, Marriott International. "As with all Fairfield by Marriott hotels around the world, guests can expect the same high standards of service and seamless experience so they never have to skip a beat." Fairfield by Marriott Kathmandu is located in Thamel, a district at the heart of the capital's central commercial hub, which was previously known as a bohemian haven before it became a popular shopping destination. Close to all the destination's popular attractions including the Narayanhiti Palace Museum, Garden of Dreams and the Kathmandu Durbar Square, the hotel is also conveniently situated 5 kilometres from the airport. The hotel offers 115 smart, straightforward and thoughtfully appointed rooms. Kava, the all-day dining restaurant, serves local, Indian and international cuisine. Meanwhile, Kava – The Bar and lobby lounge is a lively spot offering freshly brewed coffee and an array of cocktails in the evening. The Business Centre meeting rooms are equipped with the latest audio visual facilities and all public areas and guest rooms have high-speed wi-fi. The hotel also features The Market, a unique 24/7 convenience store within the hotel, where guests can purchase snacks and beverages at any time of the day. 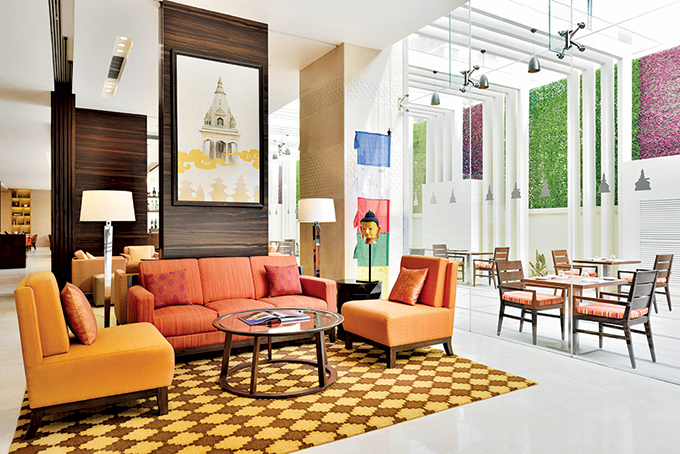 Fairfield by Marriott Kathmandu is the latest addition to the brand's footprint in South Asia, with four hotels in India currently open including Fairfield by Marriott Bengaluru Rajajinagar, Fairfield by Marriott Bengaluru Outer Ring Road, Fairfield by Marriott Lucknow and Fairfield by Marriott Belagavi.